Design of controller for a doubly fed induction generator driven by a variable speed wind turbine employing deep learning neural networks whose weights are tuned by grey artificial bee colony algorithm is developed and simulated in this work. 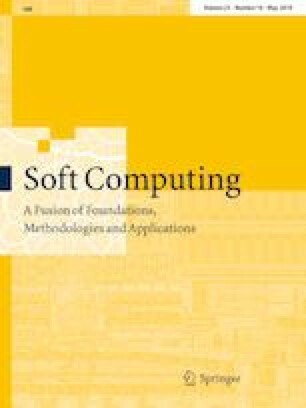 This paper presents the mathematical modelling of the doubly fed induction generator (DFIG) and the controller design is implemented using the third generation deep learning neural network (DLNN). In the proposed work, the variable speed wind turbine generator torque is regulated employing a proportional–integral–derivative (PID) controller. The gains of the PID controller are tuned using DLNN model. The proposed density-based grey artificial bee colony (D-GABC) algorithm provides the optimal dataset required for training DLNN model. As well, the weights of the developed neural network controller are also optimized by D-GABC algorithm to avoid premature convergence and to reduce the incurred computational time of the network model. The effectiveness of the proposed DLNN-based controller for DFIG in wind energy conversion is proved and observed to be better than that of the other methods proposed in the previous literature works in respect of the simulated results obtained. There exists no conflict of interest in the work carried out related to this manuscript and as well in publishing this manuscript. The contribution made in this paper is original and no animals or birds were harmed during the working carried out in this paper.